Come to Open Spin and Find Out! 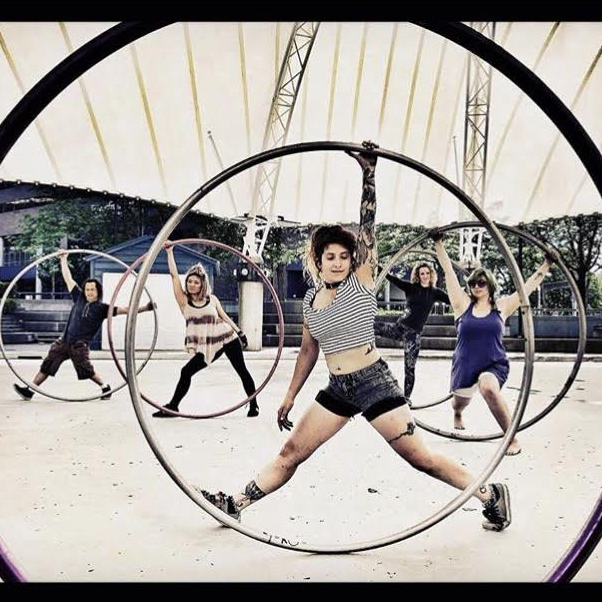 In our desire to make CYR WHEEL more accessible we have created OPEN SPINS! 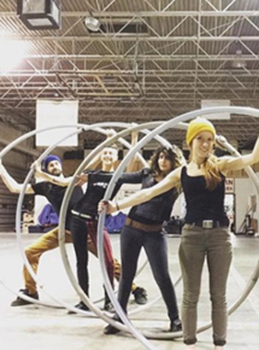 OPEN SPIN is a FUN 3 hour long CYR WHEEL jam session, open to everyone. A public session open to all levels, noobie - to expert. We provide the wheels and the space, all you do is show up, SPIN and GET FIT. Never Seen A Wheel Before? No Problem! Open spin is lightly informative for those who have never experienced Cyr Wheel. Participants will be walked through the beginning steps to get spinning. For those that are already spinning, Open Spin is a great way vibe off other spinners, meet other Cyr artists, share and learn new skills, and become apart of our Spinnovation Detroit community. It is also a chance for students to fit in a few extra training hours and hone in on those skills! These On Location Spins are again open to all levels and public, so bring your friends! Have any good Spin Spots? We're dying to know! Want to watch? Open Spin is open to bystanders, onlookers, and spin watchers. Just be warned...you will be encouraged to Spin with us!